Specifically formulated to help men perform at their peak, both mentally and physically, everyday. 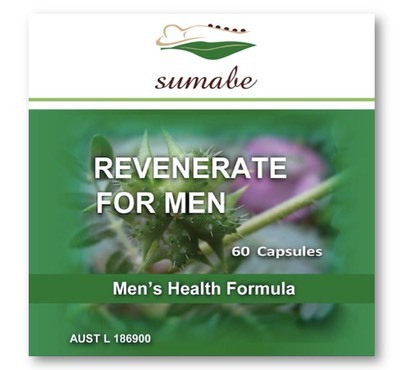 This comprehensive formula helps to provide an optimum intake of vitamins, minerals and herbs including increased doses of ingredients beneficial for men's health. It supports energy production and exercise performance and may support the maintenance and repair of muscle tissue. Traditionally used to relieve stress and to assist male sexual performance. It supports a healthy reproductive system and production of healthy sperm. It assists circulation to the extremities and supports liver detoxification. As well as helping protect against freeradical damage. Adults, take 1 capsule 2 times daily, with meals or as directed by your healthcare professional.